Facebook has been doubling down on fighting clickbait articles in the past year, but now the company is addressing video clickbait too. One of the more popular ways spammers trick people is by using a fake play button. 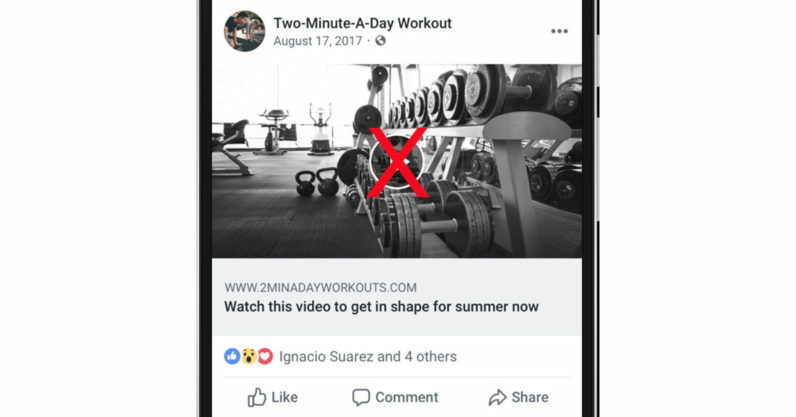 It’s a simple enough strategy: share an article with a play button as the featured image, and people will think its a video when scrolling through their feed. They might even wonder why it’s not auto-playing as usual and click on it to make sure everything is working. Other times, scammers will post a static image in video format to try and cheat Facebook’s algorithm. Most tech-saavy users know to avoid these ruses, but it’s easy to get fooled when you’re not paying attention. And not everyone is so tech saavy. It’s worth nothing this is the first time we’ve seen Facebook go beyond the usual text filters for detecting clickbait – now it seems to be using AI to actually analyze the visual content itself. For it’s part, the company says “publishers that rely on these intentionally deceptive practices should expect the distribution of those clickbait stories to markedly decrease.” Let’s hope so. Read next: Ford's CEO is ready for the driverless car future: Are we?